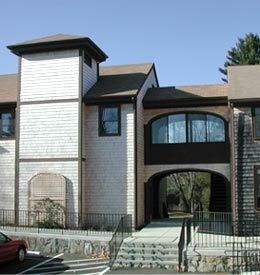 The new office building and year round conference facility is an addition to a hundred year old shingle style summer retreat center for the Society of the Companions of the Holy Cross. 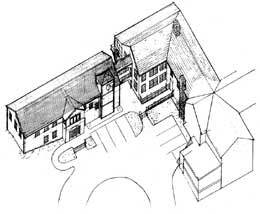 Located on a remote, idyllic wooded site, the new building had to fit in and compliment the existing campus of buildings. The new facility includes a variety of meeting spaces, a library and archive, and a series of administrative offices and support spaces. In addition, the new building provides elevator access to the second story of the existing dormitory building. To keep the buildings and the functions separated as required by fire code, the buildings are linked by a second story bridge/breezeway. The building was dedicated for use in the spring of 2000 as scheduled for the start of the summer season.